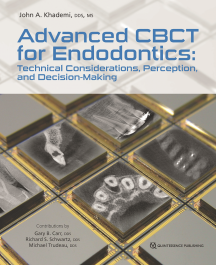 This book encourages endodontists to develop a sound technical and theoretical understanding of CBCT. The authors compare the capabilities of modern CBCT imaging with traditional radiography and also present vital information about image interpretation and perception to increase competence and confidence in CBCT interpretation and minimize overdiagnosis and subsequent overtreatment. With a reputation as one of dental photography’s most innovative experts, the author of this book elevates clinical photography to artistic expression. This workbook outlines the equipment, settings, and technical steps behind the author’s stunning photography and pairs his handwritten text with images of the production phases as well as the final photographic results. To see these photographs is to see the mouth in a way you can never forget, and this workbook will enable clinicians and lab technicians to likewise showcase the artistry of their own work.